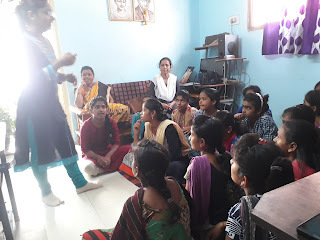 12-May-2018, Koregaon Park (Pune): Don Bosco Development Society, Koregaon park organised a health awareness session for adolescent girls in Thite wasti slum in Pune. 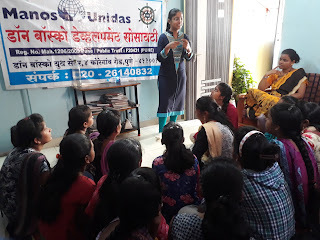 18 Adolescent girls attended this session held under the aegis of ‘Women Empowerment Project’ funded by Manos Unidas, Spain. • Physical body changes and their stress. 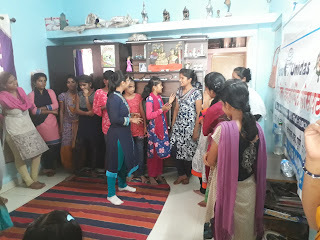 • How to keep balance of Psychological changes. 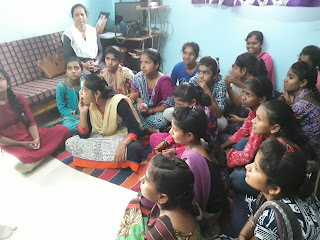 The girls participated actively in the session and requested for more such sessions. The programme ended with vote of thank by Mrs. Sonwane.